The Jury selected 25 finalists from a total of 276 entries. 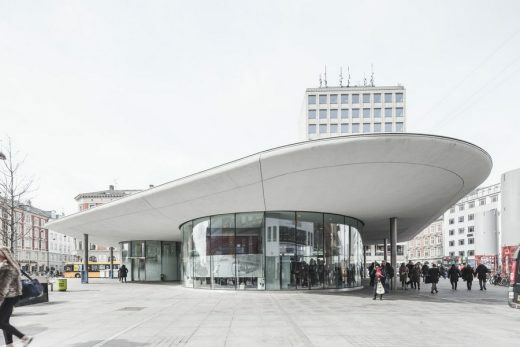 Nørreport Station has recently been nominated for two prestigious awards: The Danish Landscape Award 2015 from The Association of Danish Landscape Architects and The Arne Award 2015 from the Danish Association of Architects. The winners of both awards will be announced in January 2016. Danish Architects COBE, in collaboration with Public Architects, Grontmij Carlbro and Bartenbach LichtLabor, are awarded first place in the international competition to design the new Norreport Train Station in Copenhagen, Denmark. Norreport Train Station is the busiest train station in Denmark with around 250000 persons passing daily. The new train station and surrounding urban space will be a new attraction for the area and a natural gathering place. The project is conceived as a series of rounded, almost floating roofs covering individual transparent glass pavilions. All station facilities will be visible and easily accessible and the station will appear like an open and welcoming public space. The project wants to show that Copenhagen is proud to be called the world’s best bicycle city. This is why all bicycle parking will be a visible and central element in the future urban space. In order to create a clear hierarchy between the area for bicycles and the area for city life, all bicycle parking is placed 40 cm below the city floor. The bicycle parking will be lighted by innumerable LED lights in the night. Furthermore 11 ventilation towers will be placed on the plaza surrounding the train station. They will provide fresh air to the underlying train platforms. The towers will also function as lightning on the plaza and as digital information pillars with fully integrated LED screens for information about train departures, cultural events, advertisement etc. 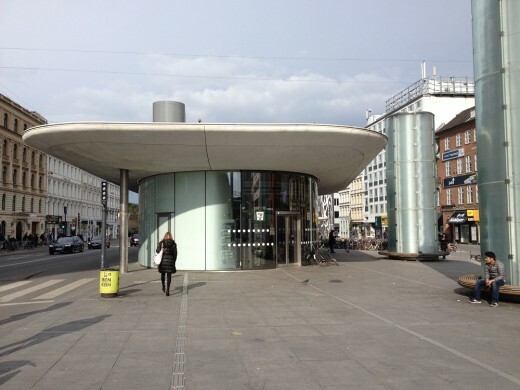 “Norreport Train Stationhas a special significance for all residents in Copenhagen. 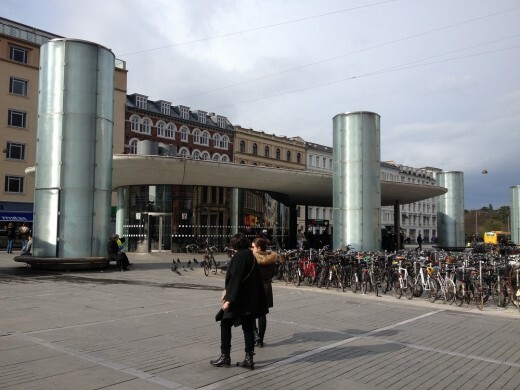 We look forward to develop our proposal and deliver a new train station which will be a new useful urban space for all people in Copenhagen” says Dan Stubbergaard, Partner-in-Charge, COBE. COBE is a young architecture office based in Copenhagen and Berlin, founded in 2005. COBE’s main focus is urban matters in complex situations. Our profession spans from the physical realization of architectural design to the research dimension of strategic urban planning. COBE has just finalized the construction of the new Taastrup Theatre in Taastrup, Denmark and is now, among other projects, working on the New Culture House and Library in Copenhagen North West, and the planning of the most extensive city development project in Scandinavia: The new sustainable city district, Nordhavnen, 4 kilometres from the city centre of Copenhagen, Denmark. COBE currently has a staff of 15 dedicated people and is led by the two young architects Dan Stubbergaard and Vanessa Miriam Carlow. 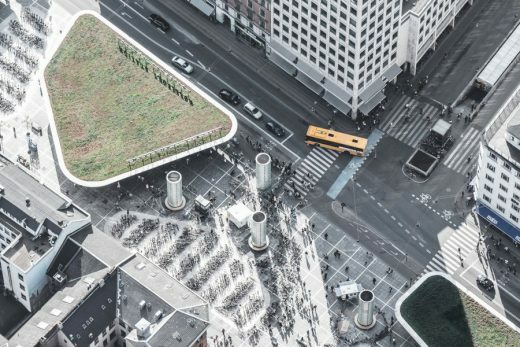 Stanton Williams has been shortlisted in an international design competition to create a new transport hub and public space in the Nørreport area of Copenhagen. The designs for Nørreport station and new public space will aim to strengthen Nørreport’s function as a hub for sustainable modes of transport, supporting the city’s climate-related initiatives to ensure sustainable urban development. In addition to Stanton Williams, the shortlist comprises: EBDNBA arkitekter, Denmark; Tegnestuen Vandkunsten, Denmark; Xaveer de Geyter Architecten, Belgium; Amanda Levete Architects, UK; SPACE GROUP, Norway; Public Arkitekter, Denmark; BBP Arkitekter Denmark; KHR arkitekter, Denmark and Karres en Brands Landschapsarchitecten, Netherlands. The winning scheme will be announced in the summer.